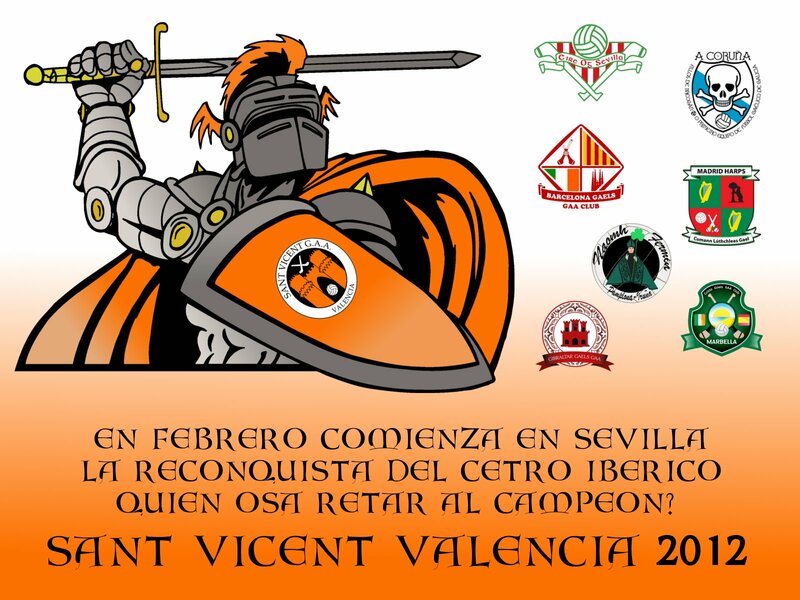 After a long off-season, and countless hours on the training fields the moment has arrived for the men of Sant Vicent Valencia to stand up and defend the Iberian Championship they claimed last season in Barcelona. Marching into Seville alongside them this weekend will be the ladies team looking to mount their most concerted bid for the Iberian crown in recent history. Buoyed by excellent numbers and efforts at training sessions along with the commitment of a dedicated coach, the Valencia women’s team is excited to see just how far they have come. Unlike previous years, it appears that the team may be able to rely on depth in numbers for the 2012 season and with the new players developing their Gaelic skills so quickly, they could immediately have an impact on the Iberian scene. Mix in the talented newcomers with players experienced in the Iberian Championship and new arrivals from the Irish game and Sant Vicent could make some very loud noises this season. In truth, only time will tell, but the development, enthusiasm, commitment and camaraderie demonstrated by this group of ladies will surely hold them in good stead throughout the campaign. On the men’s side, as is common in the Iberian league, players have come and players have gone. Although travelling with limited numbers to the first contest of the 2012 calendar, Valencia will not be taking their title defence lightly. True, the 2012 crown was an historic moment for the club, but many see it merely as a starting point rather than the destination. Like their female counterparts, the Valencia men head to Seville with a fantastic mix or experience and athleticism. The newer players have made huge advancements in the pre-season sessions and it is a certainty that team selection could prove difficult once all players are available. The commitment will continue to be to the fast-paced passing game which saw them power through the final three tournaments of 2011 unbeaten and the extra circuit sessions and increased intensity at training have undoubtedly helped them raise the bar.